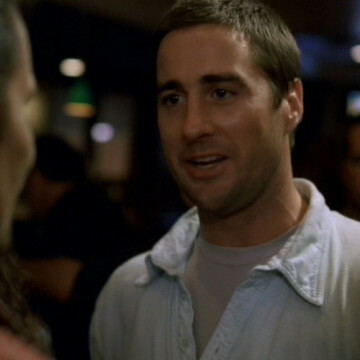 During Luke Wilson’s brief appearance in S01E03 of Entourage, the actor tells Turtle and Drama about his new home theater system over a few drinks. The actor explains that he had received the system for free after mentioning the name of the installer, Rufus, and his company, Home Video Solutions, in an issue of InStyle. Luke encourages them to contact Rufus since they’re in the market for a new home theater of their own.